Computer Gaming World Comments and Highlights: May 1987 was the month of World War II. 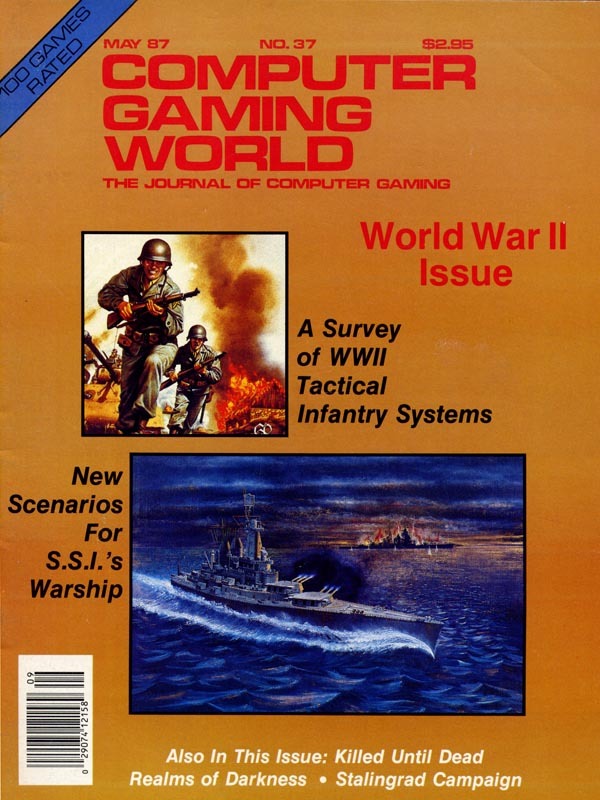 Inside were a wargame survey, an article by M. Evan Brooks on the future of computer wargaming, reviews of Simulation Canada�s Stalingrad Campaign, and a comparison of WWII tactical wargames. Meanwhile, Titans of the Computer Gaming World continued with a profile of Electronic Arts, and Scorpia gave hints for Realms of Darkness.